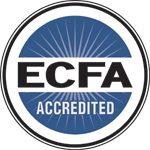 The Old Testament is foundational for understanding Jesus’ Gospel of the Kingdom and is critical to building and sustaining disciple-making movements. 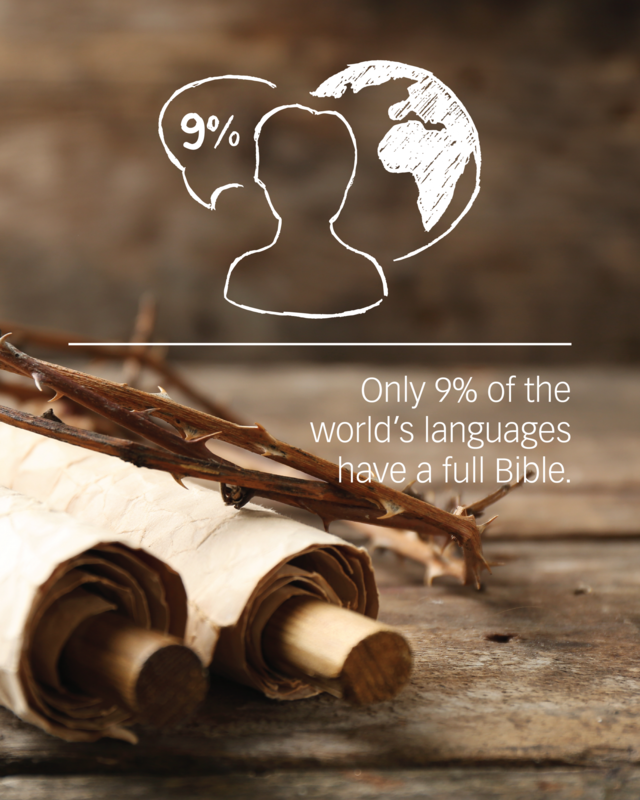 Yet, less than 700, or 10%, of the world’s languages have a full Bible. Most Bible-less people groups are oral learners yet the whole Bible in audio is only available in less than 130 languages. To reach the goals of the Global Church, there are still 6,400 languages yet to be translated that will need to be put into oral form. 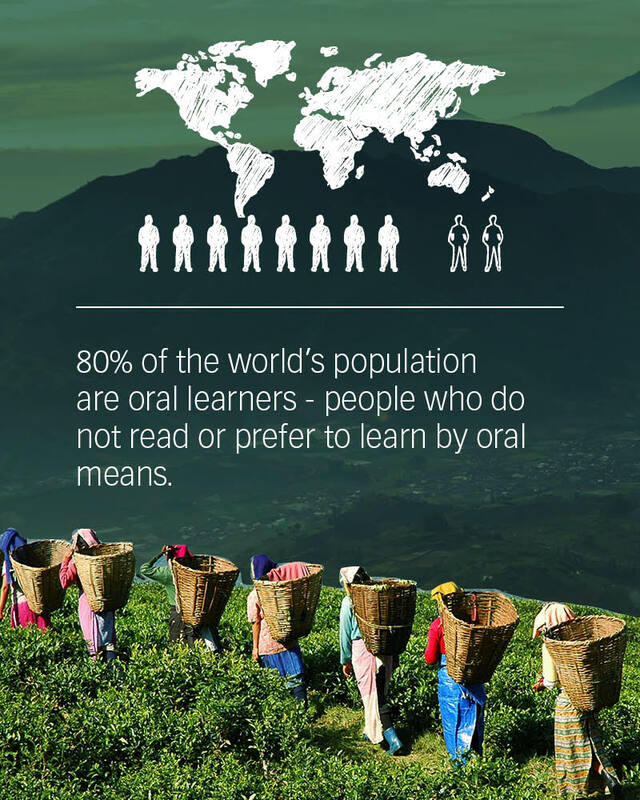 A second critical path step is the need to expose, educate, and mobilize the Body of Christ to create effective outreach among approximately 80% of the world’s population, the Bible-less oral people groups and oral preference learners. To truly make disciples of all nations we must enable access and engagement with God’s Word in oral-visual forms in every language.